When I was pregnant with our first child I memorized scriptures to prepare for labor and delivery. I meditated on different psalms and promises of God to calm my anxious heart! I didn’t realize until after our daughter was born that God had me memorize Psalm 121 for childrearing not pregnancy. Soon I started to pray it over our daughter before bed every night. Wow! God’s word is so powerful it can even pierce between soul and spirit?! So it makes sense to pray the scriptures. There is promise and authority in them. Psalms is a great book to pray. Have you ever done this? After you read 2 or 3 verses you pray them. 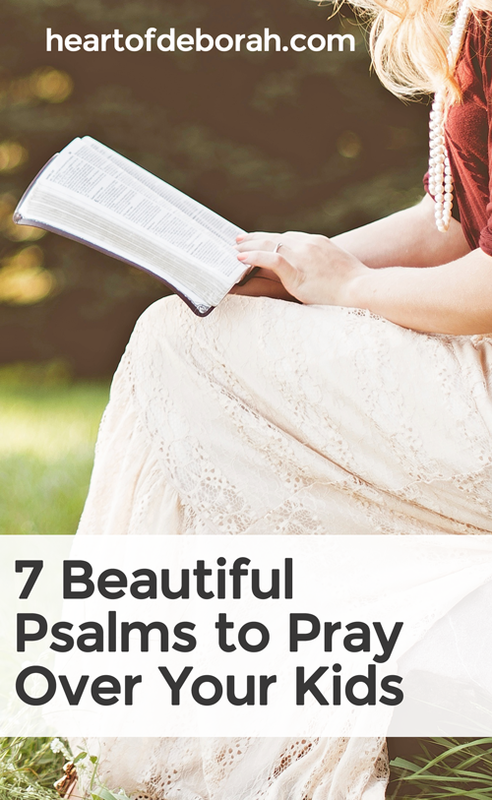 Or after you read the entire psalm you can pick out a few verses that stood out to you and pray them for yourself or your child. Pray: Thank you heavenly Father that you never sleep nor slumber. You are always watching over me. I praise you because even when I sleep you are watching over our daughter. I do not have to be afraid because you will not allow her foot to be moved. Thank you for your faithfulness. Pray the promises and speak the words that the Spirit leads you to pray. God’s word is so powerful and when we speak it out loud something shifts in the atmosphere. Along my path in motherhood I’ve found many psalms to be comforting and healing. 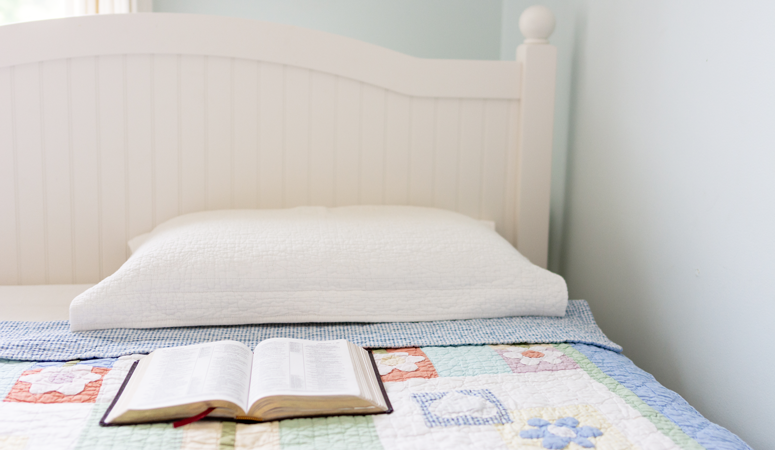 So I wanted to share with you 7 powerful psalms to pray over your kids at bedtime. There is reason I chose each of these psalms. We want our children to know who God is (Psalm 147) and how wonderful it is to praise Him (Psalm 100). I will lift up my eyes to the hills— From whence comes my help? *We also have this children’s board book based on Psalm 23 and our kids love it! Praise the Lord; For it is good to sing praises to our God; For it is pleasant, and praise is beautiful. The Lord builds up Jerusalem; He gathers together the outcasts of Israel. He heals the brokenhearted and binds up their wounds. He counts the number of the stars; He calls them all by name. Great is our Lord, and mighty in power; His understanding is infinite. The Lord lifts up the humble; He casts the wicked down to the ground. Sing to the Lord with thanksgiving; Sing praises on the harp to our God. He who dwells in the secret place of the Most High shall abide under the shadow of the Almighty. I will say of the Lord, “He is my refuge and my fortress; My God, in Him I will trust.” Surely He shall deliver you from the snare of the fowler and from the perilous pestilence. He shall cover you with His feathers, and under His wings you shall take refuge; His truth shall be your shield and buckler. You shall not be afraid of the terror by night, nor of the arrow that flies by day, nor of the resilience that walks in darkness, nor of the destruction that lays waste at noonday. My frame was not hidden from You,when I was made in secret, and skillfully wrought in the lowest parts of the earth. Your eyes saw my substance, being yet unformed. And in Your book they all were written, the days fashioned for me, when as yet there were none of them. So there it is, 7 Psalms to Pray Over Your Kids! 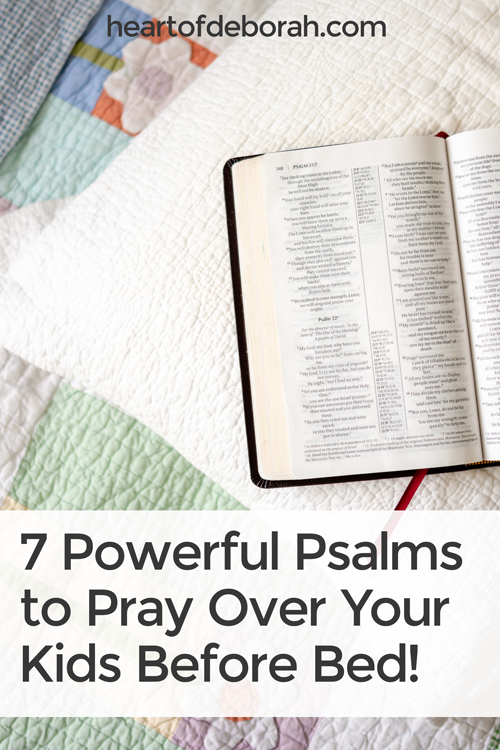 I hope you found these psalms comforting as you pray them over your kids at bedtime. 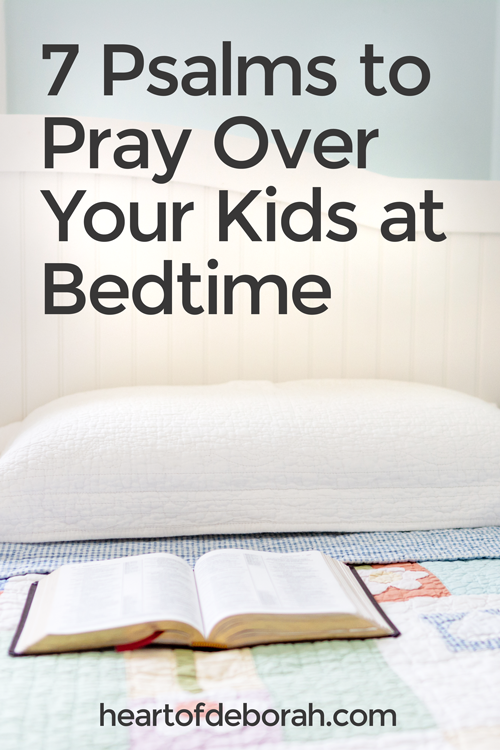 Do you have a favorite psalm or scripture to pray over your kids? I’d love to hear from you in the comments below. 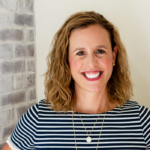 Also be sure to follow us on Facebook for more inspiration in motherhood. Thank you so much for this. May God keep you. Thank you for sharing The Psalms to pray over our kid.God Bless you n your family. 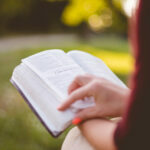 You have opened my eyes to a simple way to pray the scripture, AWESOME! !